Jaime Munguia potentially has huge fights in his future, but Golden Boy isn’t going to rush him. 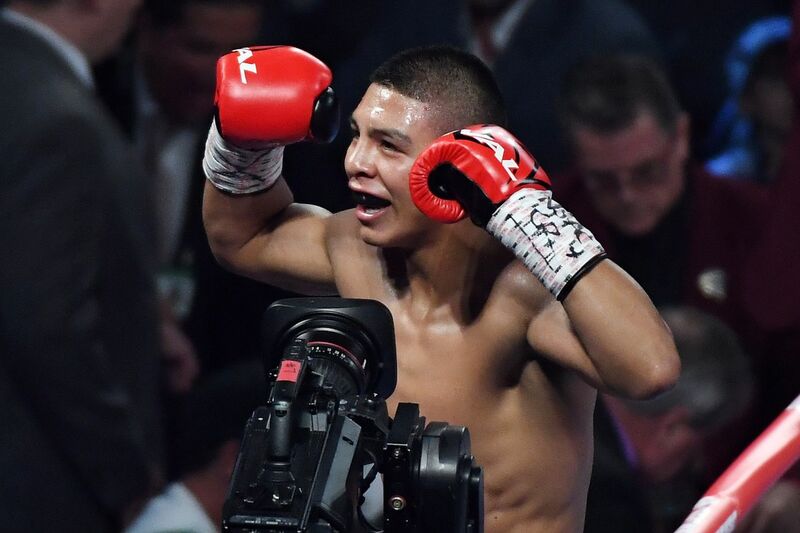 Jaime Munguia had a breakout 2018, first almost landing a late-notice fight with Gennady Golovkin, and when that was turned down, winning the WBO 154-pound title in May with a dominant wipeout of Sadam Ali. The rising Mexican star, now 22, followed that up with successful defenses over Liam Smith and Brandon Cook, and on Saturday, he headlines on DAZN in Houston, facing Japan’s Takeshi Inoue. But it’s no secret that many fans are looking forward to bigger fights from Munguia, and Golden Boy says they’ll be taking it slow — or slow enough — as they want to make sure that Munguia gets in the proper preparation before facing off with any of the sport’s bigger names, probably up at 160 pounds. The plan right now, reportedly, is to have Munguia (31-0, 26 KO) move up to middleweight in about a year, and he thinks that with his body size, he can eventually compete at 168, too. Given that he’s six feet tall and looks huge as a junior middleweight, he may well be right. If he beats Inoue (13-0-1, 7 KO) as expected, his next fight will likely be a mandatory defense against Dennis Hogan (28-1-1, 7 KO), an Irish fighter based in Australia who, on paper, doesn’t look like a big threat, but that’s the sort of fight Golden Boy clearly wants to give Munguia for the time being, as he’s still developing into a well-rounded fighter. Sure, he handled Liam Smith last year, and Smith is a former titleholder and solid contender, but there were more than a couple dicey moments, too. Bottom line, there’s a lot of room for Munguia to improve, and Golden Boy’s idea is the smart one. After all, he potentially has huge fights in his future, and for the moment, there’s no reason to rush him — even if we, as boxing fans, might grow a little restless with how this plays out.